Now recognized as one of the greatest sports car designs, at its launch in 1969 the Nissan/Datsun 240Z had a lofty goal: stand shoulder-to-shoulder with its European contemporaries, yet offer the value, reliability and economy that Japanese automobiles had a reputation for. Elegant in design and sculpted with classic proportions, it had state-of-the art mechanicals to match. 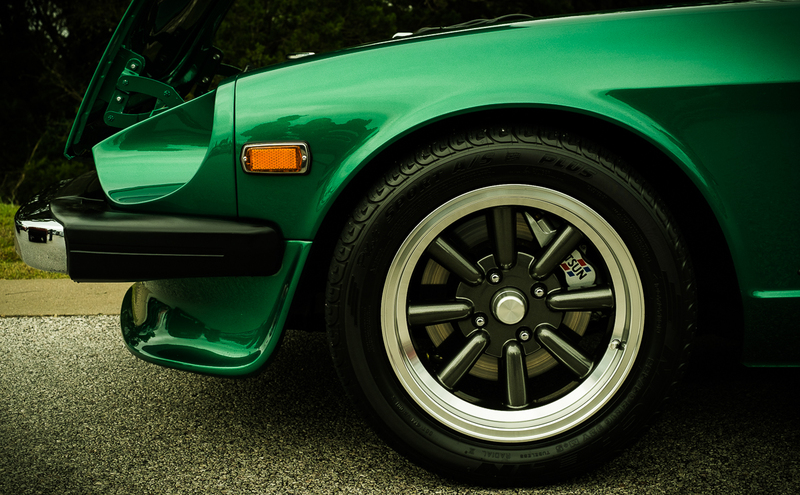 This beautifully restored and enhanced 1974.5 260Z is quite possibly better than new. Clad in a stunning Emerald Green Metallic paint, it is clear that its owner has put his attention and craft to every millimeter of the car. It was a joy to visit with and admire this Z up-close. Top: Blessed with classic sports car proportions, the long front end is punctuated by a forward-hinged hood. Side draft: For the US-market the 1974.5 cars were equipped with a 2.6L straight six with 165hp on tap. Dressed to impress: Deliberate in all its detailing, the motor and engine bay is replete with stainless steel, chrome and billet detail parts. Timeless interior: A design and layout fitting of a GT car, decades old yet still appearing modern. Sports silhouette: Cabin to the rear axle, a sloping roofline and short overhang are the desirable ingredients. 260Z: Limited in the US to the 1974 model year, this example is the later 1974.5 which had the more desirable, higher output motor.